Sound the alarm, round up the royalists! 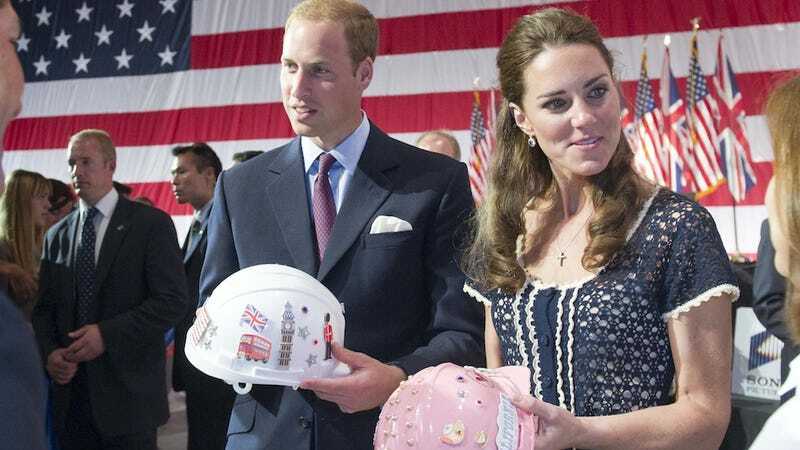 Will & Kate may very well descend upon New York City in the coming months. Can't wait to see the apocalyptic case of gridlock THAT'll unleash. The trip, set for later in the fall, may even see him bringing wife Kate with him. Although she has not been part of the original plans, it's believed that the palace isn't ruling out anything where she is concerned. A "open mind" is being kept as to whether she will also travel, a royal source says. Bear in mind that she already missed her big solo trip to Malta, so maybe the Palace wants her out there for one more big hullabaloo before she's out of commission with an infant again. The show must go on! If only this visit had come a year earlier—we might've been treated to a magnificently awkward staged photo of Will, Kate and cranky billionaire mayor Michael Bloomberg strolling the High Line together.